On casual strolls through the backstreets of Xinjiang’s major cities, I have seen padlocked doors and piles of rubble where mosques long stood. 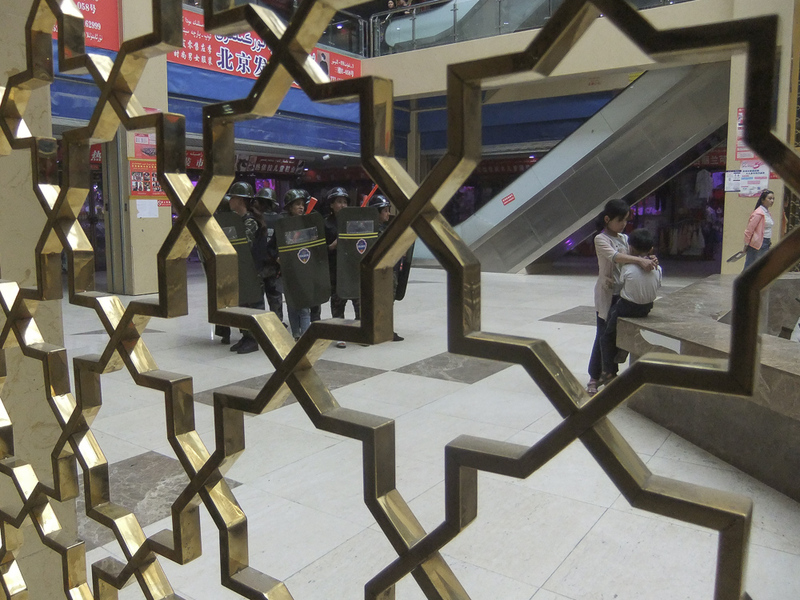 Friday used to be the highlight of the week for Uighur Muslims in northwest China. Most men and boys would down tools around 12:30, stuff prayer mats under their arms and head to the nearest neighborhood mosque. This has ended. In August 2016, Beijing sent a new provincial governor to Xinjiang, Chen Quanguo, fresh from his success quelling unrest in Tibet. From the moment Chen arrived, mosques started to close; barriers and razor wire appeared to “protect” worshippers; voice- and facial-recognition software began to peer down at the faithful on Fridays. Most worryingly, thousands started to disappear. At first, Islam was still tolerated. Armored vehicles notwithstanding, on Fridays the faithful would arrive en masse and boldly enter their places of worship as the call to prayer rang out across this vast region three times the size of France. Prayers were always a strictly male preserve. Underage schoolboys could still in those days manage to slip through the net and join the throng, cramming their uniforms into bags to avoid detection. Then suddenly, it would be over. A sea of Uighur nationhood would pour onto the sidewalks to gossip in tea shops, ice-cream parlors and noodle bars. Not much work happened on Friday afternoons. In the days before Chen, religious talk was still tolerated, as was praying after meals and greeting each other with “As-salamu-alaikum” – peace be upon you. In fact, only four years ago Islamic ardor around the province appeared on the rise, spurred by influences from the Middle East. People began to refer to “Allah,” rather than the “Huda” more commonly used by Uighurs as a name for God. A more fundamentalist and ardent version of Islam was replacing a largely nominal expression of religious observance. Women could be seen everywhere draping themselves in the black niqab, and teenage girls started experimenting with a range of elaborate head coverings; sometimes they’d don beehive configurations swirling around their faces and extending a foot into the air, whilst at the same time wearing a mini skirt. It started with a trickle of people disappearing. Concerned at reports that thousands of Uighurs had made their way to Syria, and the growing role of doctrinaire Islam, the government clamped down. Chen introduced a raft of new legislation to extinguish “terrorism, separatism, and religious extremism” – the “three evils,” as they’re known in Party circles. During Chen's first three months in office, mosques were destroyed across the province – as many as 5,000 according to research by Radio Free Asia. Liu Xiaoming, China’s ambassador to the United Kingdom, denied such reports in an August letter to the Financial Times, claiming Xinjiang has over 24,000 mosques and defending his government’s record on religious freedom. He’s wrong. Mosques across the province are being reduced to rubble. The places of worship have given way to parks, factories, apartments and entertainment centers. In Hotan, a city in Xinjiang’s southwest, I saw an expanse of cement and park benches where only a year before one of the city’s main mosques had stood. On casual strolls through the backstreets of Xinjiang’s major cities, I have seen padlocked doors and piles of rubble where communities had long met to worship. 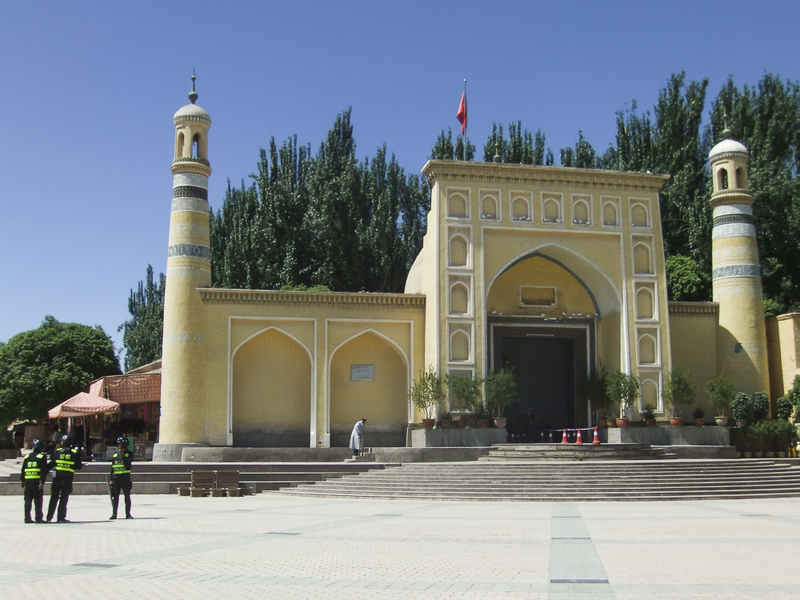 Even the doors of Kashgar’s iconic Id Kah Mosque, while still intact, are closed to worshippers. In Beijing’s newspeak, religious conviction is now a disease. To reassure Xinjiang’s young people that the growing number of mysterious disappearances since Chen’s arrival were nothing sinister, the regional government’s youth league circulated a recording in October 2017 entitled “What kind of place is the Educational Transformation Center.” It describes the camps as places where people with strong religious views, or politically incorrect thoughts, can be “cured” of their “illnesses.” The camps, in this telling, are necessary to stop “violent terrorist incidents growing and spreading like an incurable malignant tumor.” The recording was distributed on WeChat, the only social media forum permitted in China. Chen’s campaign was ruthless from day one. His minions banned religious names, long beards, veils and harassed people who refused to watch state television. At first, minor crimes – such as being late for the compulsory Monday-morning flag raising ceremony in neighborhood squares, schools and workplaces – were punished with a week or two of incarceration. Offenders would then reappear, contrite and grateful to Beijing for showing them their errors. But gradually, imperceptibly, those who have reappeared are fewer. Normal now are families too terrified to speak of their loved ones and the horrific realization that vast numbers of Uighurs have indeed disappeared. Tens of thousands of now-empty homes have been sealed and alarmed to prevent reentry. A government official sent to help with the harvest in the south reported villages denuded of workers and orphanages being built to house children left behind. 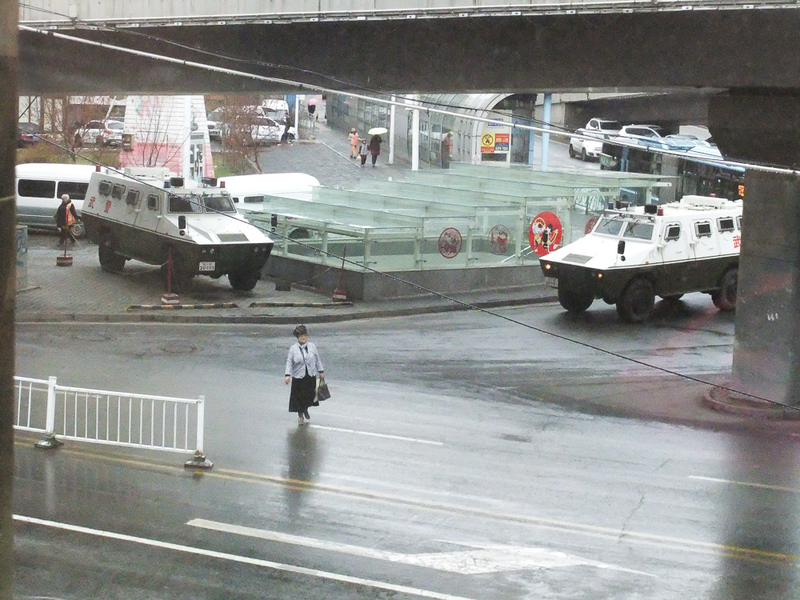 Chen believes that everyone throughout Xinjiang must be a soldier in the war on terror. School uniforms in the south are now khaki camouflage. Skirts, particularly the long skirts that suggest piety, are banned for girls. In the Hotan market, venders wear tin hats, bullet-proof vests and army fatigues to their market stalls. They carry riot shields and wooden clubs, prepared to fight the invisible enemy when he appears. Neighbors spy on neighbors. Authorities distribute notebooks to document the comings and goings and idle chatter of visitors. Compulsory government apps have been installed on phones to monitor conversations, group gatherings, religious or anti-Chinese downloads. At ubiquitous checkpoints, anxious police officers scan phones for anomalies. A switched-off phone is suspect, as is a device restored to factory settings. An analogue phone – or no phone at all – is equally suspicious. And so the nightmare continues. Each day brings a new layer of restrictions, another roll of razor wire, and another missing friend. And as for Fridays: Well, Fridays don't really happen these days. Few dare go to the mosque anymore, or even talk about it. No one prays in public or mentions the name of God. Instead, on the street now you hear, “Praise to the Party!” when friends and strangers greet. Jennifer Balfour is the pseudonym for a writer who lived in China until recently.